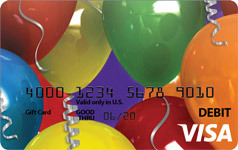 Give the perfect gift of endless possibilities for any special occasion. 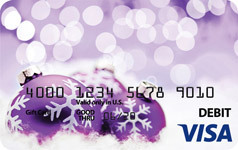 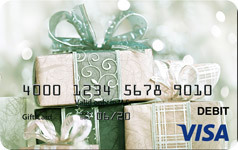 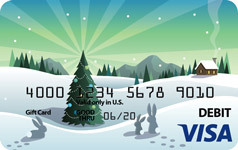 Our Visa® Gift Cards allow your special friends and family to select their gift of choice everywhere Visa® debit cards are accepted. 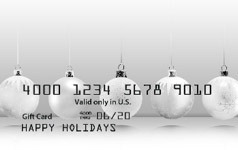 Contact us for a flexible, fun and convenient holiday gifting solution! 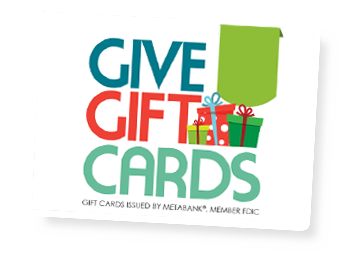 Give the gift of choice! 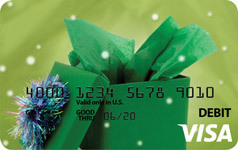 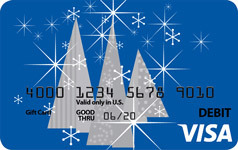 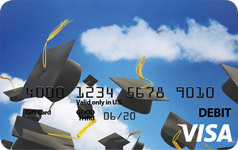 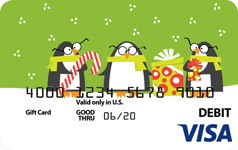 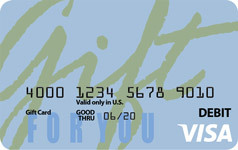 Gift Card is issued by MetaBank, Member FDIC, pursuant to a license from Visa U.S.A. Inc.